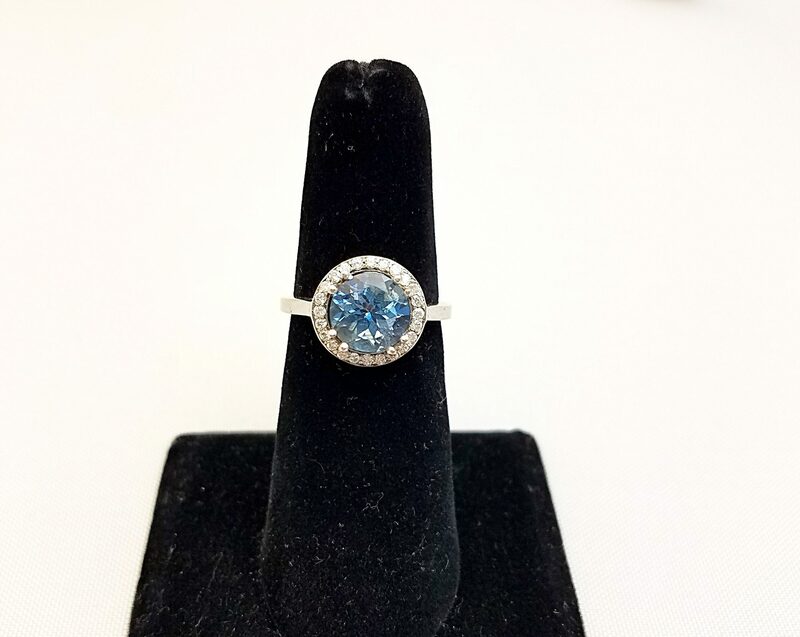 This stunning Aquamarine & Diamond Halo Ring has an 8mm rare dark blue Aquamarine of a tone that you can’t really find anymore. This one is set in 14K White Gold and has a 1/4 carat of Si1-2 and GH color Diamond accents in the halo. This ring can be made with smaller and other type of stones and in other metals as well. I would even be willing to remove the Aquamarine from the setting and put in something that you like more because it is that special. You can see form this charft that is in the most desirable (and rare) box on the color chart. ACCENTS: Around 1/3 tcw of SI1-2, HI color diamonds.